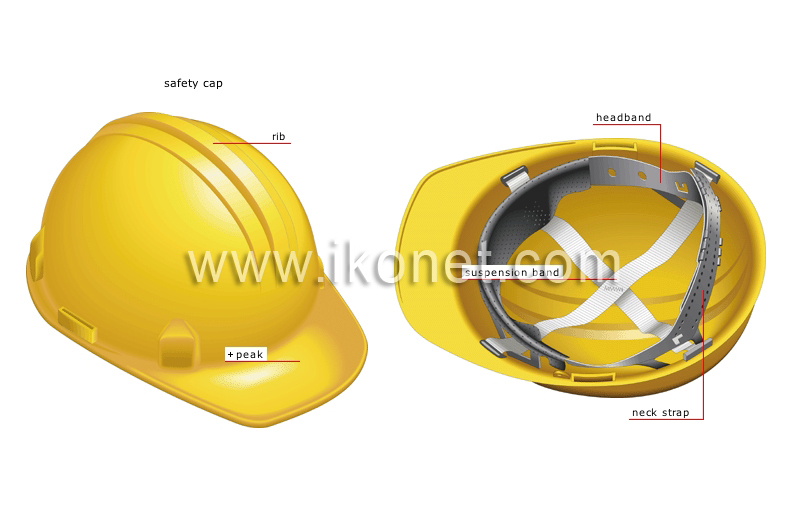 Safety helmet that protects against falling objects and impact. Hard headgear that protects the head. Ridge that reinforces the top of the safety cap. Band that surrounds the base of the skull to keep the cap in place. Belt on the inner top of the cap that is made of resistant fabric to cushion the impact of blows to the head. Strap that tightens around the nape to keep the safety cap in place.